The challenge this week was to post a picture of someone sleeping. Our baby grand loves Thomas the Tank Engine. We had been playing with his trains before his nap. He went to sleep holding them. Sweet dreams, sweet boy. For more I Love Faces click here. The theme of this week's photo challenge is Autumn Faces. For more Lovely Faces click here and enjoy. This week's photo challenge is to share a photo with pink in it. For more pictures in pink click here. I love to take pictures. To me, the hobby allows me the privilege of capturing a moment in time and freezing it. With a simple click of a button, time stands still. While making memories and pressing them into your heart is the result of living intentionally, let's face it. Memories fade. The sharp lines of the specifics details tend to blur into the collective images of a life well-lived unless . . . you have captured the moment through the lens of your camera. Then you can hold the memory in your hand as well as your heart! The theme of this week's challenge is to share a picture of an excited face. This is one of our Baby Grands, excited about a package of what he calls "gummies" which is Welch's Fruit Snacks. I get kinda excited about them myself. For more excited faces click here. Blessings. This week's assignment was at I Love Faces is to post a picture of Favorite Things. Our Baby Grands love Gerber Puffs-a finger food for toddlers that almost immediately dissolves in their mouths. Declan (2 years) introduced us to Puffs. He also introduced his younger cousin, Grayson (15 months), to Puffs. They quickly became a fav of his as well. I goes without saying that these 2 little guys are My Favorites! For more Favorite Things click here and enjoy. Seriously. I love faces. Serious love. For more Faces To Love click here and see I Love Faces. Blessings. 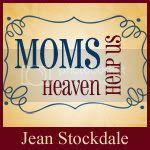 And if you are interested in joining our online Bible Study for MOMS on the book of Ephesians called "High Stepping in Heavenly Places"click here for the details. We start Sept. 24 and would love to have you. Blessings.